San Francisco, CA (June 18, 2013)—Center for Resource Solutions (CRS) today announced that the American Carbon Registry (ACR) has been accepted as a Green-e Climate Endorsed Program by the Green-e Governance Board. Beginning immediately, eligible Emissions Reduction Tons (ERTs) issued by ACR are available for use in Green-e Climate certified offset products sold by retailers to organizations and individuals looking to mitigate their contribution to climate change. 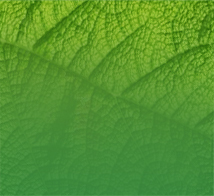 Founded in 1996 as the first private voluntary greenhouse gas (GHG) registry in the world, ACR develops standards, methodologies, protocols, and tools for voluntary carbon reduction projects around the globe and oversees offset project registration, verification and credit issuance on its APX registry system. ACR is also an approved Offset Project Registry (OPR) for California’s recently launched Cap-and-Trade program. ACR voluntary standards and methodologies that are eligible for use in Green-e Climate certified products include those that have been both released for public consultation and approved after the American Carbon Registry Standard v. 2.0, released in 2010. Read more at Green-e Climate Endorsed Programs. The American Carbon Registry (ACR), a nonprofit enterprise of Winrock International, is a leading carbon offset program recognized for its high standards for environmental integrity and transparency. Established in 1996 as the first voluntary GHG registry in the world, ACR has over 15 years of unparalleled voluntary carbon market experience in the development of rigorous, science-based offset methodologies and operational experience in the oversight of offset project verification, registration, offset issuance and retirement reporting. In addition to its voluntary carbon market activities, ACR is an approved Offset Project Registry for the California Cap-and-Trade Program and works with the state regulatory agency to oversee the listing, verification and issuance of compliance-eligible Registry Offset Credits. ACR has issued over 35 million tons of emissions reductions and continues to lead voluntary carbon market innovation. Learn more at www.americancarbonregistry.org. A program of Center for Resource Solutions, Green‑e is North America's leading independent consumer protection program for the sale of renewable energy and greenhouse gas reductions in the retail market. Green ‑ e offers certification and verification of renewable energy and greenhouse gas mitigation products through Green ‑e Energy, a renewable energy certification program; Green‑e Climate, a greenhouse gas emission reduction certification program; and Green‑e Marketplace, a program that provides forward-thinking organizations a simple, nationally recognized logo they can use to communicate their renewable energy and climate commitment to their customers and shareholders. To learn more about Green‑e Certified products and programs available in all 50 states and Canada, visit www.green-e.org.